Everywhere I look at the moment there seems to be more and more cool Pac Man inspired gadgets and accessories coming out, but these Pac Man lighting blocks have to be the best I have seen so far. 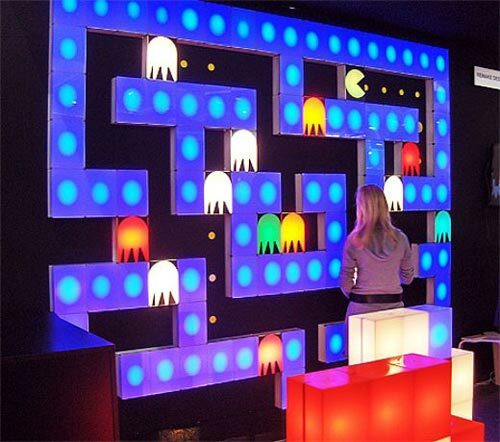 Now you can have your own Pac Man lighting wall, with this cool light blocks from French lighting company Remake Design. They offer a variety of snap together lighting blocks which can be combined to make a cool light wall as pictured above. There is no word on pricing on the Pac Man lighting blocks, but the other ones they sell will cost you around $300 for 4.